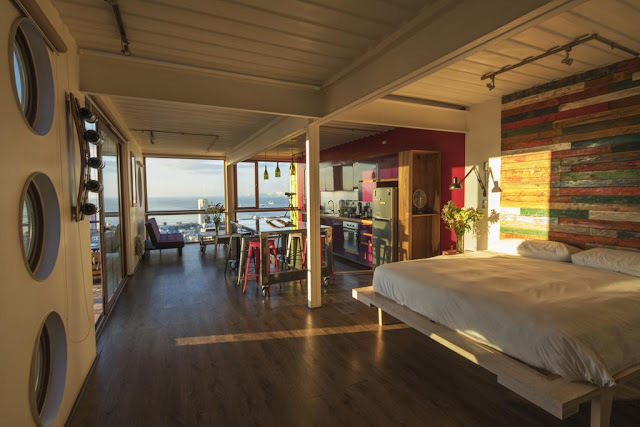 The New Zealander histrionic Grant Phelps, known by many in the wine industry as a leading winemaker, invites to his boutique hotel on the Mariposa hill in Valparaiso. 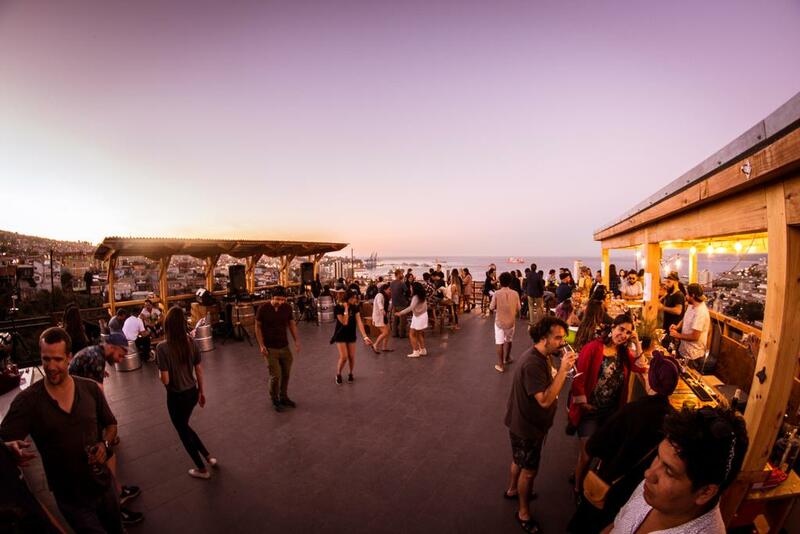 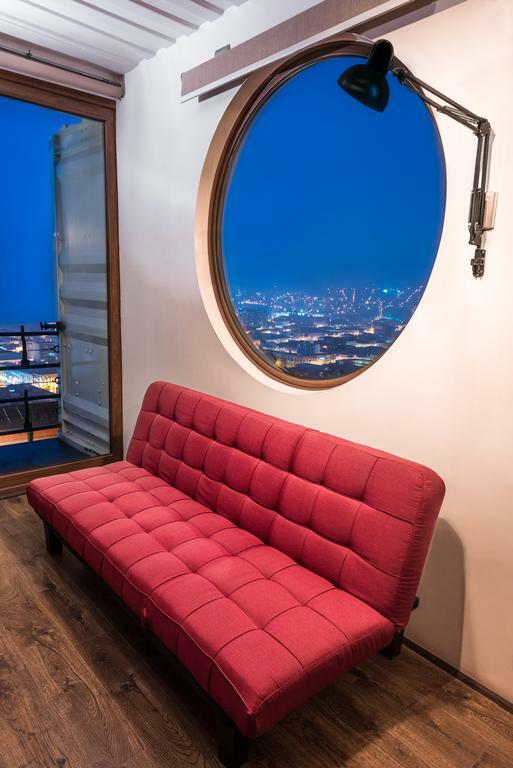 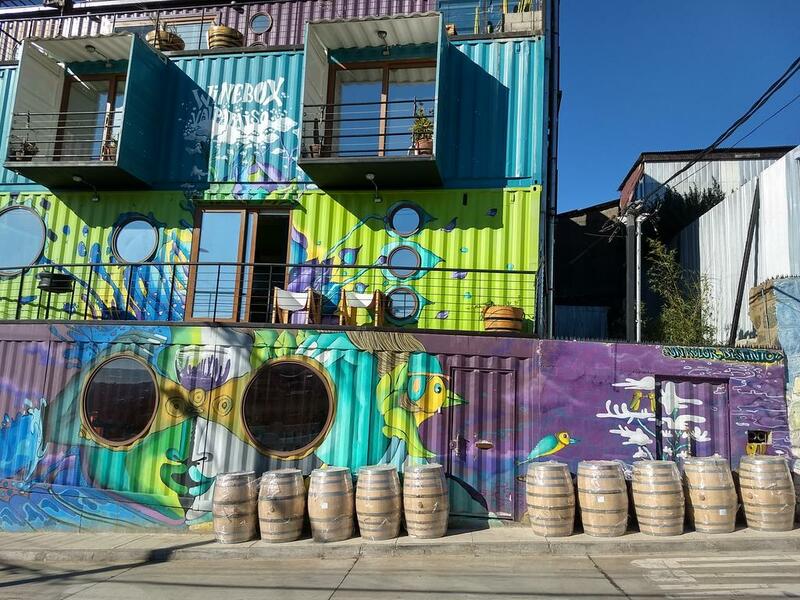 The Wine Box, a spectacular building, with four floors and a great shipping container design - is the first in South America built only with shipping containers and reused materials. The idea came after the earthquake that affected his hometown Christchurch in 2011, in New Zealand, where they had built houses with containers. 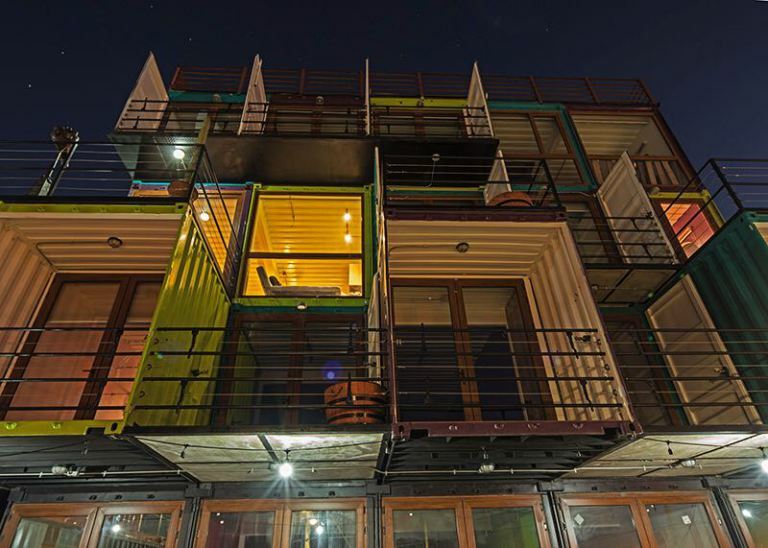 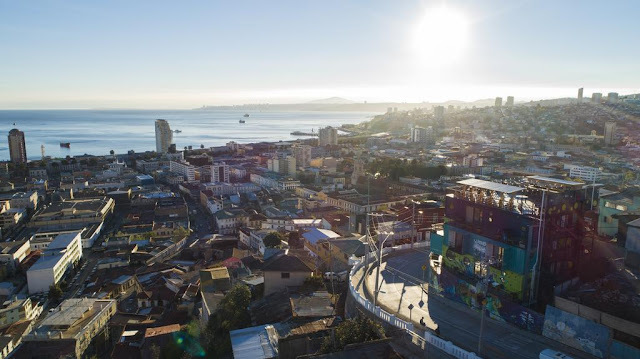 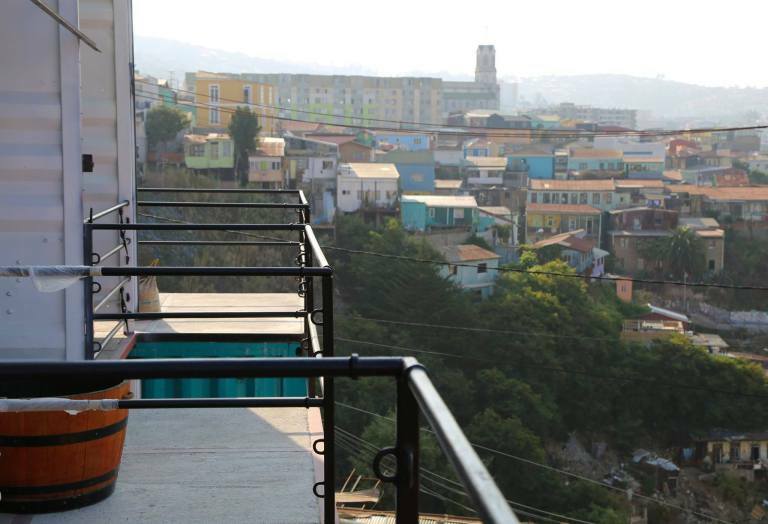 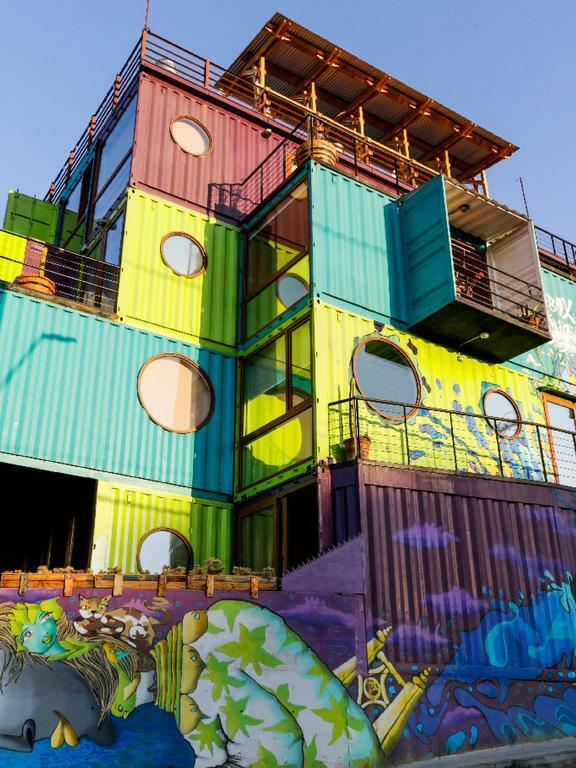 So once he returned he bought an architecture book with these shipping containers and decided to make this millionaire project in the tourist Valparaiso, in which he lived several years ago. 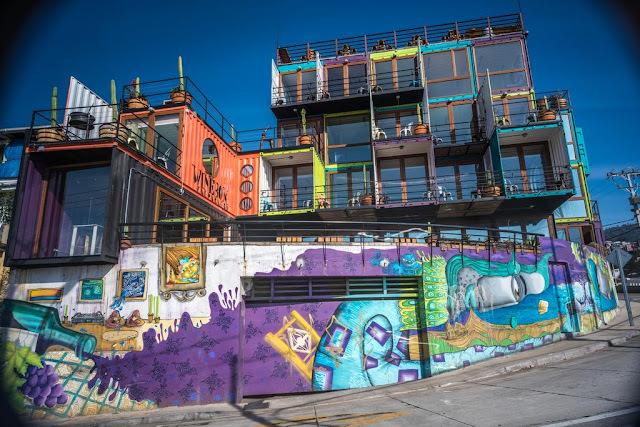 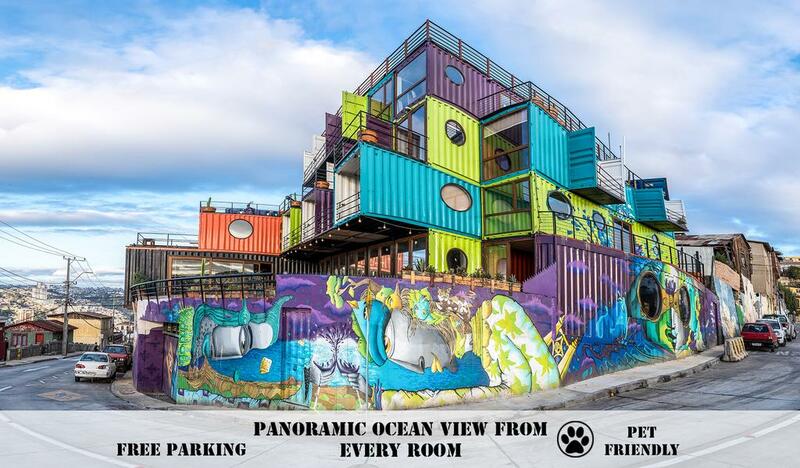 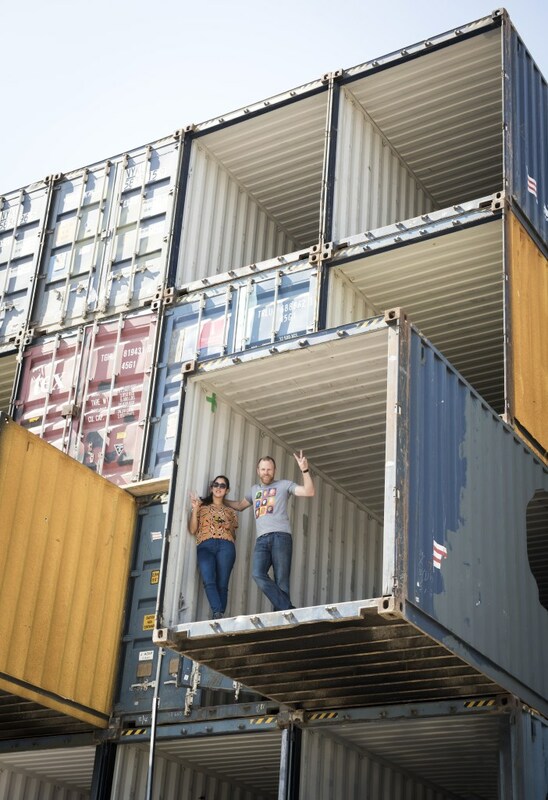 After this and two years of work, Grant and his girlfriend the architect Camila Ulloa, introduced a beautiful shipping container building with a tremendous and colorful facade, and an amazing 360° rooftop view. 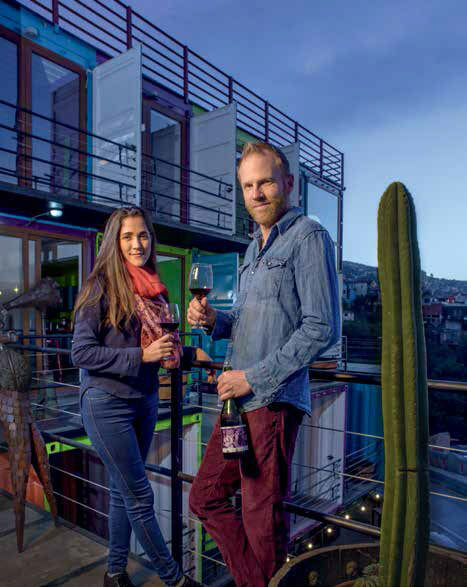 With this project of renovation in the sector, Grant and Camila have given new airs to this hill, because it stimulates the neighborhood, generates employment and brings people closer to the world of wine. 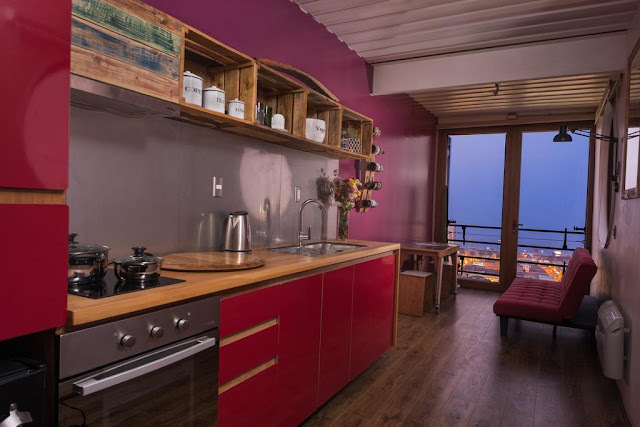 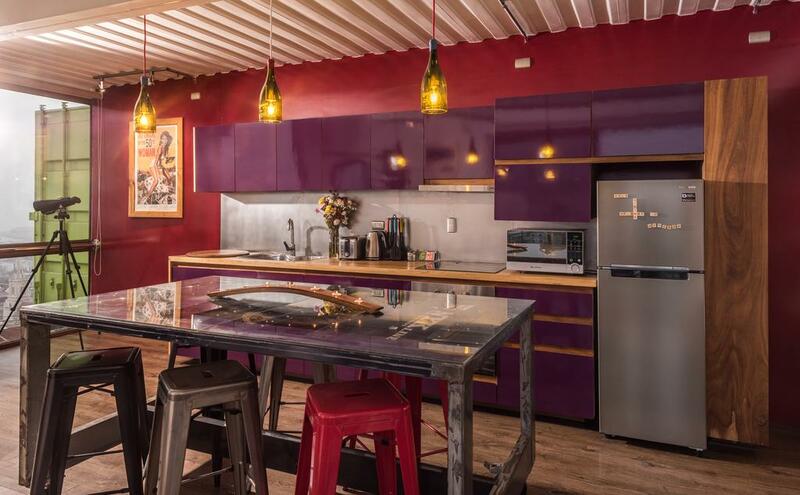 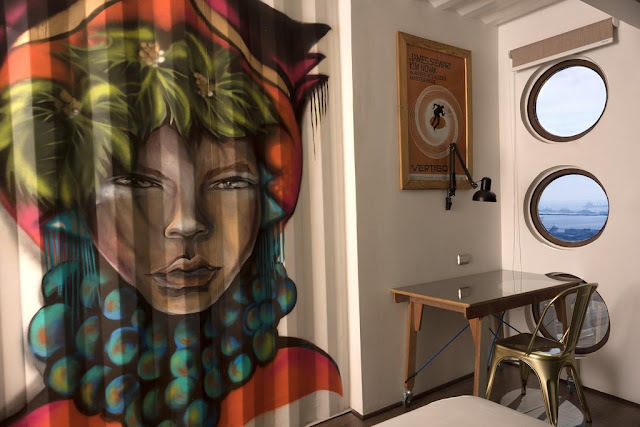 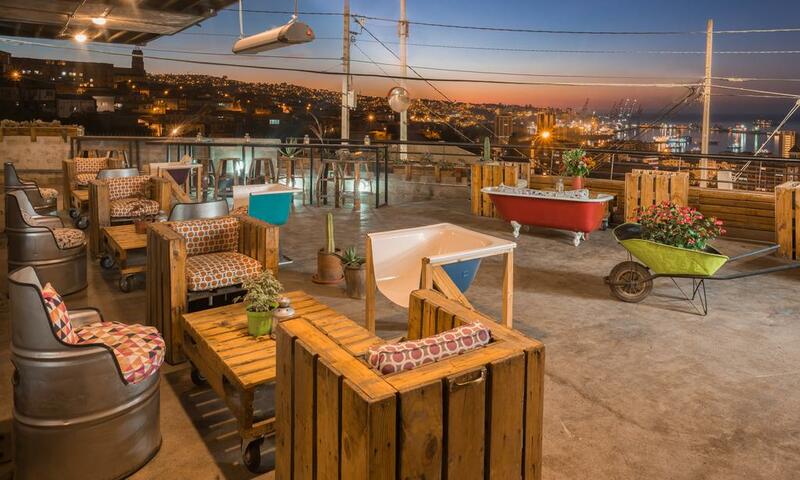 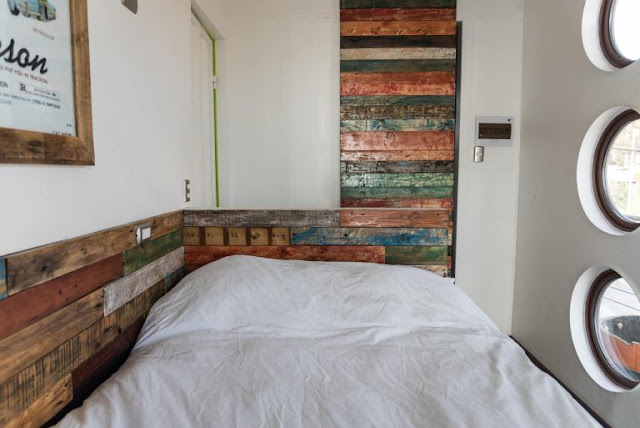 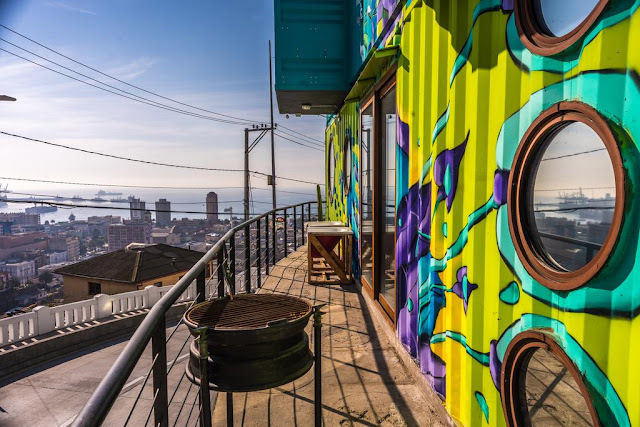 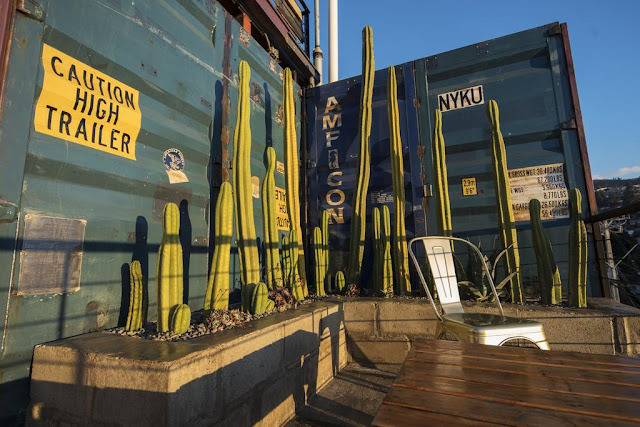 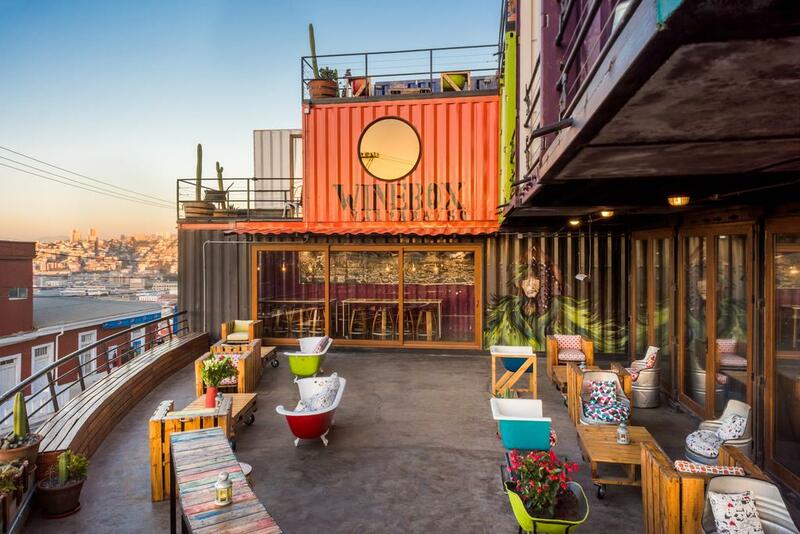 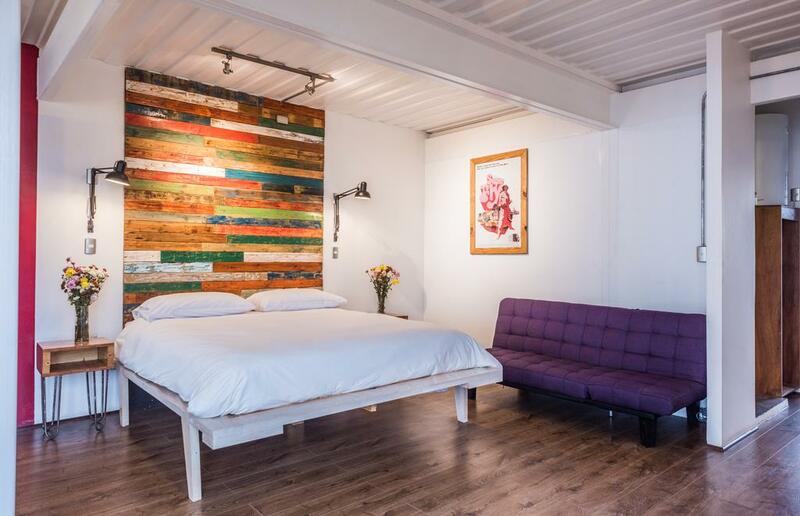 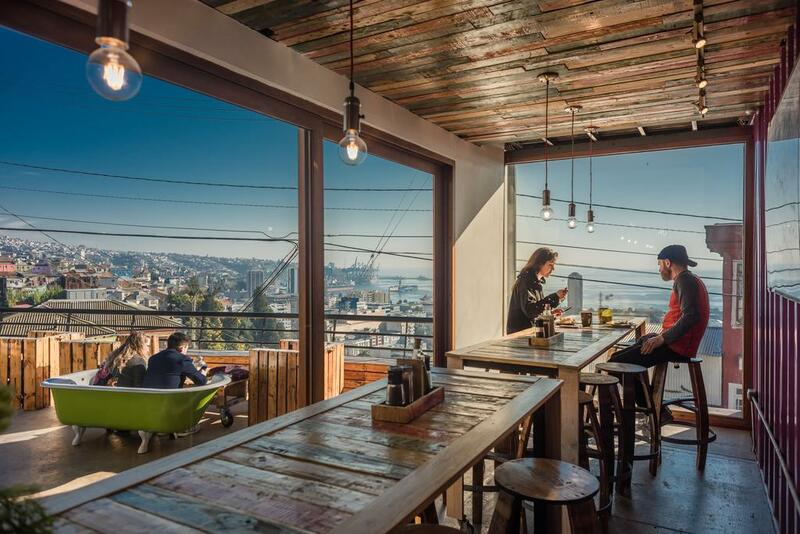 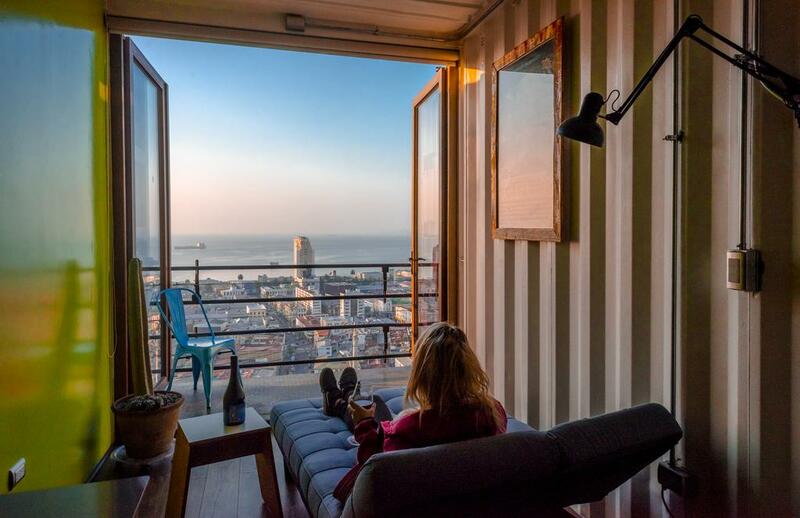 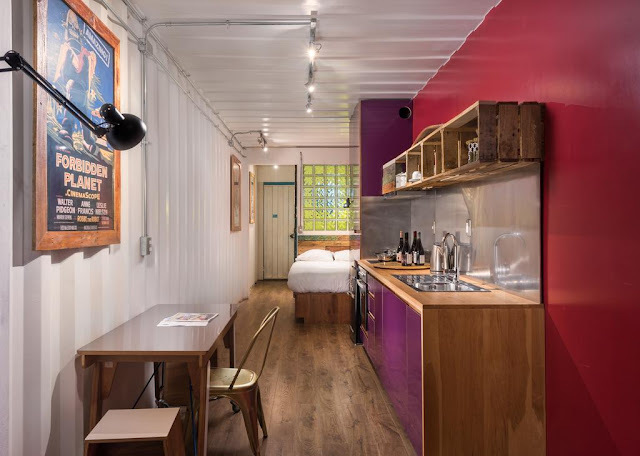 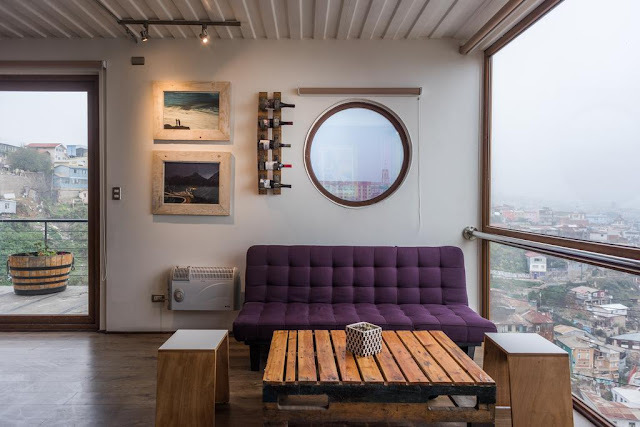 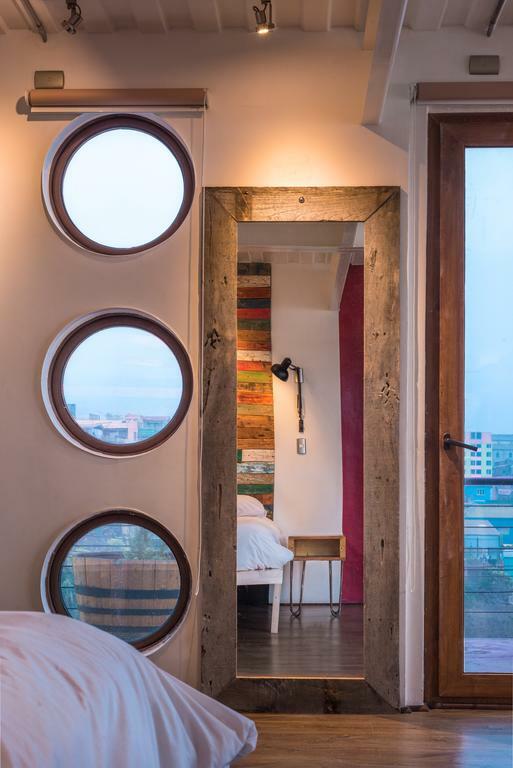 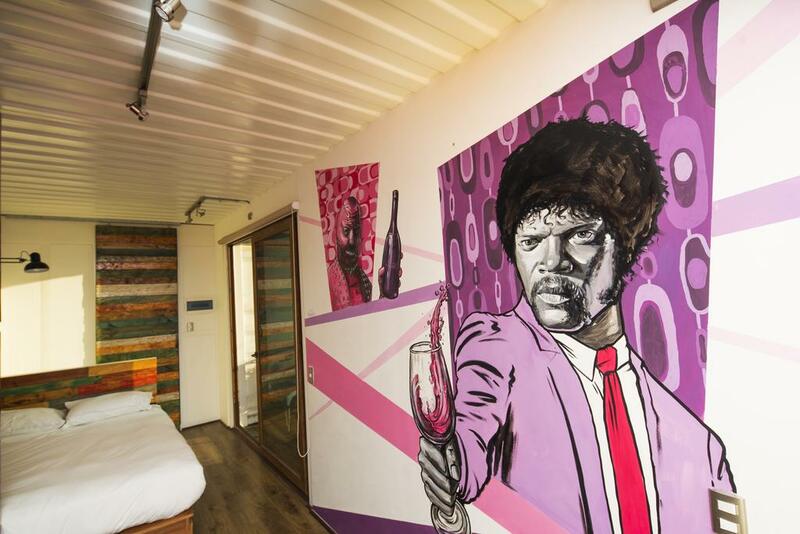 Shipping container hotel Winebox Valparaiso offers rooms with heating, a seating area, a private terrace, a pantry, a dressing room and high ceiling in the vicinity to Atkinson Walk. 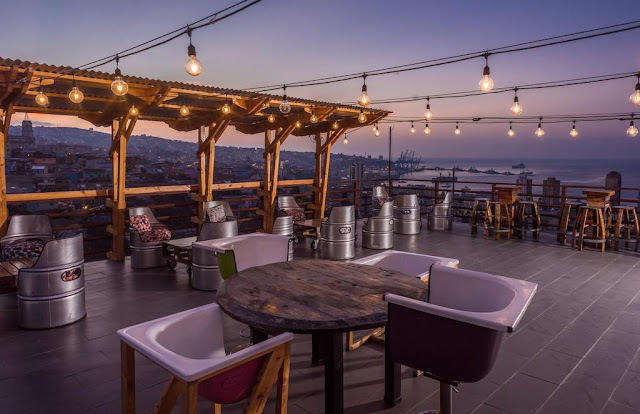 There are large lounge area, BBQ facilities and a bar on the roof. 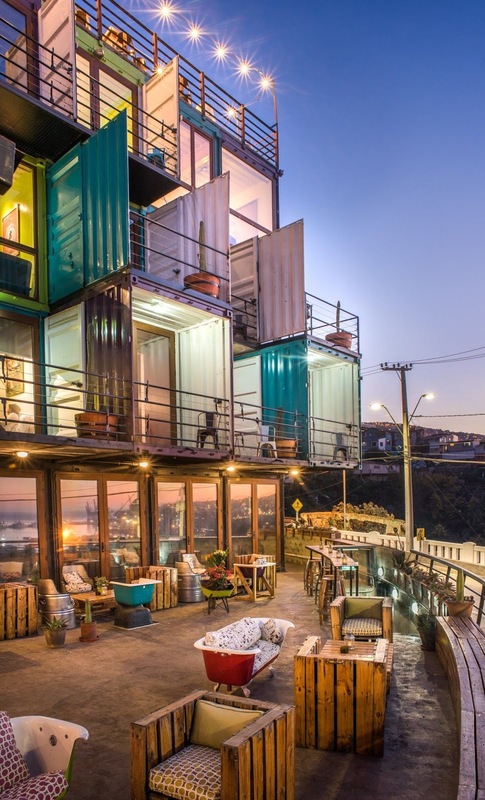 This hotel is rated for the best value in Valparaíso. 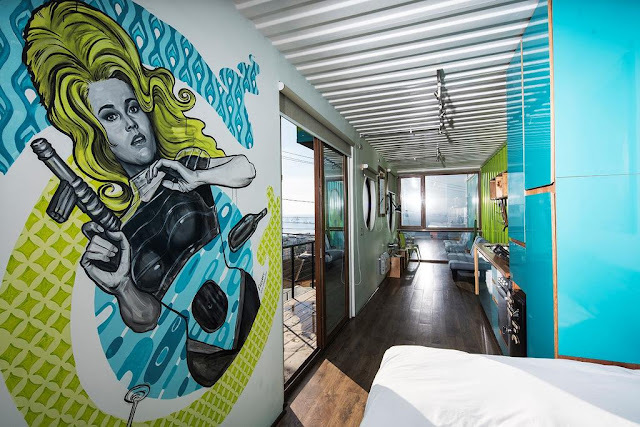 The shipping container hotel has 21 studio rooms, including 2 suites of 100 sq m and 19 of 35 sq m, all with built-in kitchen of beautiful furniture, with a living room with sofa bed and a spectacular private terrace overlooking the bay, perfect for passing the afternoon enjoying the landscape with glass in hand. In addition the place, of colorful design, gathers several common spaces like a large terrace on the first floor, with chairs and tables of recycled pallets, lamps and ashtrays of wine bottles, many cacti everywhere, graffiti, a wine bar, one side, and a wine shop, where tastings will also be held, with about 250 labels in association with La Vinoteca. 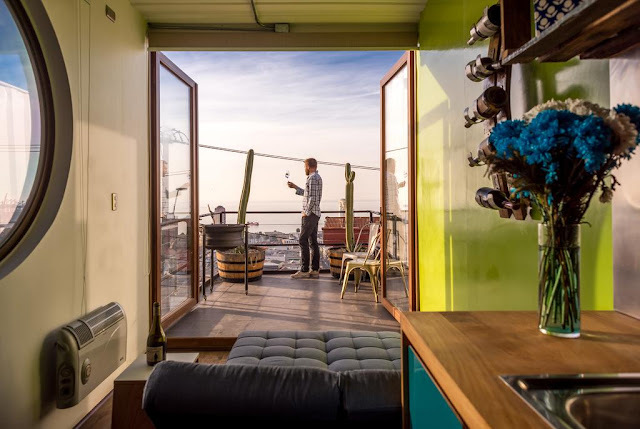 Also, the upper part of the place, 160 sq m, will soon house a large capacity restaurant, a bar for 80 people, and a fudre hot tub for two, where you can enjoy wine therapy treatments with a privileged view.